Singer-Rakesh Barot. Artsit-Rakesh Barot,Chini Raval, Music-Mayur Nadia. Lyrics-Manu Rabari, Director-Raju Patel, Producer-Sanjay Patel. Music Label-Shri Ram Audio And Telefilms. 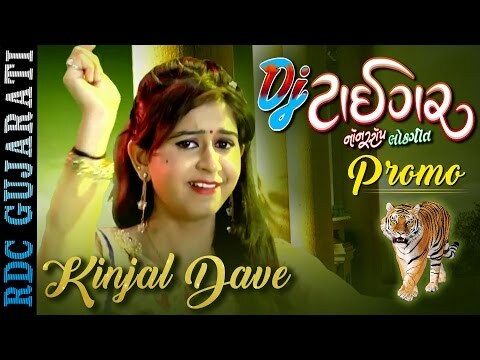 Dilni Rani Gujarati Video Song, Gujarati DJ Song. Marketing Partners -Gofoxers, Special Thanks, Siddharth Bhavsar, Page 3 Studio. Nayan ne bandh rakhi ne darshan raval, Nayan ne bandh rakhi lyrics, Nayan ne bandh rakhi ne sachin jigar. Gujarati Romantic Song, Gujarati Video Song, ✽ Song : Tara Vina Gamtu Nathi, ✽ Movie : Mangu Sayba Janmo Janam No Sath, ✽ Singer : Rakesh Barot Video Songs, Sejal Thakor, ✽ Star cast : Rakesh Barot, Harini Ahir, Geet Shah, Pooja Ghosh, Ratan Rangwani, ✽ Music Director : Ajay Vagheshwari Songs, ✽ Lyrics : Manu Rabari, ✽ Director : Vinesh Prabhakar(Anna), ✽ Producer : Pravinsinh Parmar, Vasant Vaghela, ✽ Music Label : N.K Music & Studio Pvt. Ltd.
prabhua reet tari, na hum janai. kaire ma bhul ma, jindagi ujadi. kar me maara lage, hase kathe nahi. prem ma badle, hase re juadai. tara vina koi na sajan, wacha wachaye na. pran ja bale lekh, badlaye na. lakhela vidhi na, lekh badlaye na. vidhi na vidhan, mithya re tayena. kar me lagyo te, tha dur vaanu, bhaiya te hmara, jivi le aano. gamtu nathi gori maro, gamtu nathi. galne aawi taari yaad, tara vina gamto gamtu nathi. Dikri To Parki Thapan Kehvay Song, Gujarati Video Song, Download Gujarati video song, Download hit Gujarati song, Gujarati Song Lagna. Lagna Geet, Movie-Desh Pardesh, Star Cast-Jagdish Thakor, Pranjal Bhatt, Roma Manek, Jeet Upendra, Producer-Haresh G Patel, Director-Haresh G Patel, Music-Maulik Mehta Video Song, Rahul Mujariya. Gujarati Video Song, Gujarati Top Video Songs, Dikri to parki thapan kehvay gujarati movie, Dikri to parki thapan, Ghayal ne shun thaya chhe. Maniyaro te halu halu thai riyo, Ne mujha dalda udasi ma hoy re. Ke chel mujho varanagi maniyaro, Ke ben mujho pardesi maniyaro. Ke chel mujho varangi maniyaro, Ke ben mujho pardesi maniyaro. Aniyari te gori tari aankhdi re, Ne kai hure aanjel ama mesh re. Maniyaro te anadhir aabhlo re, Ne kai sure koyal no kanth re. Panihari nu to dhadkanau hedalu re, Ne kai hure chalkant ama nir re. Ke chel mujho varange maniyaro, Ke ben mujho pardesi maniyaro. મણિઓરો તે હલુ હલુ થાઈ રિયો, ને મુજા દોલ્દા ઔડાસી માં હોય. કે ચિલ મુઝો વારાણજી મેનિયરો, કે બેન મુઝો પરદેશી મેનિયા. મણિઓરો તે કાલિયેલ મોર્લો ફરી, ને કા જુવે થારકી બેલ ફરી. કે ચિલ મુજુ વરંગી મેનિયરો, કે બેન મુઝો પરદેશી મેનિયા. અનિયારી તે ગોરી તારી આંખડી ફરી, ને કઇ હાયર અઝેલ અથવા મેશ ફરીથી. મણિઓરો તે અદીર અભોલે રી, ને કૈ કોયલ નો કન્થ રે. પનાહરી નુ ધડનાઉ હેડાલુ રી, ને કાઇ હરે ચૉકન્ટ અથવા નાર ફરી. કે ચિલ મુઝો varange મેનિયા, કે બેન મુઝો પરદેશી મેનિયા. maniyaro gujarati song free download, maniyaro gujarati song lyrics. maniyaro raas mp4, old gujarati garba songs mp4 free download, lakho fulani mp4 download. gujarati maniyaro raas, maniyaro te halu halu mp4 song download, sathiya puravo dware garba. Pan Lilu Joyu Song, Download video song, new gujarati song video, Song : Pan Lilu Joyu Album : Tari Aankhno Afini Singer : Sonali Vajpayee Lyrics : Harindra Dave Music : Purushottam Upadhyay Music Arranger : Kirti-Girish Video Director : Munna Jelim Artiste : Hemali Gohel, Chandan Kumar, Shamik Trivedi, Sonal Punjani, Dhara Bhatt, Akshay, Kajal Joshi, Sanjay, Shubhangi, Nishant Chandia, Sonal, Gujarati Romantic Song. pan lilu joyu gazal download, pan lilu joyu singer name, pan lilu joyu ne writer. pan lilu joyu song lyrics, pan lilu joyu writer, pan lilu joyu mp4 ringtone download. Download hit Telugu song, Tamara Ahi Aaj Pagla Thavana Song, Download Gujarati video song. fuloniy nichi nazar thai gai che. તમારાં અહીં આજ પગલાં થવાનાં, ચમનમાં બધાંને ખબર થૈ ગઈ છે. Download Tamara Ahi Aaj Pagla Thavana Song. Download Gujarati video song, Watch hit Gujarati song. Tane jata joi panghat ni vate mp4 free download, tane jata joi panghat ni vate sachin jigar. tane jata joi panghat ni vate gujarati song download he tane jata joi panghat ni vate lyrics. Pehla Varsad Song, Romance Complicated Movie, Download popular video song. The wait is over! Unveiling the romantic song of the year to redefine romance in the magical voice of Darshan Raval.The complicated journey of Romance begins now, Amdavad thi America with romance king Dev Patel and complication queen Mahi Patel. Produced by: Kirti Premraj Jain & Rajiv Sharma, Directed by: Dhwani Gautam. Music Director: Darshan Raval Singer: Darshan Raval, new gujarati song video. Top Gujarati Songs, pehla varsad video, pehla varsad song download, pehla varsad darshan raval lyrics. pehla varsad. Polam Pol (Gujarati: પોલમ પોલ ) is a 2016 Gujarati comedy film directed by Tejas Padiaa. Presented by Lemon Grass Productions and produced by Gopal Dave, Sangeeta Milan Shah, Jatin Doshi and Nimesh Shah. The film is a comedy drama. The film stars Jimmit Trivedi, Ojas Rawal, Jinal Belanil, Prem Gadhavi, Jayesh More, Sunil Vishrani & Sanat Vyas. The film releases on 12 February 2016.
polam pol songs, sapnaao sacha thashe mp4 song download. sapnaao sacha thashe lyrics, polam pol dil jo maaru. Soni ni chache re morlo moti chanva jai. Vanta jaje re vevaiyu ne mandve ho raj. Charam na hoshila var raja aviya mara raj. Sugandh na hoshiyla var raja raja aviya mara raj. Ava chaya hoshiyla var raja raja aviya mara raj. વાન જાજ એ વેવૈય ની નેધડ હો રાજ. ચરમ ના હોશીલા વર રાજા અવિઆ મારી મરાજ્ય. mor tari sonani chanch mp4 free download. mor tari sonani chanch mp3 song free download, mor tari sonani chanch full song. Pelu re mangaliyu vartay ho..
Sur sharnai ne sathvare parne var ne vadhu. Bije managa sena te dan devay? Biju re mangaliyu vartayu ho..
Triju re mangaliyu vartay ho..
Chauthe mangal sena te dan devay re? Gujarati video geet mp4, gujarati lok geet song. gujrati lok geet free download. Chhodya Dadane Chhodi Deliyo, Desh Re Joya Dada Pardesh Joya, Download Gujarati video song, Emotional Song from Super hit Gujarati movie Desh Re Joya Dada Pardes Joya (2004) Starring: Hiten Kumar, Roma Manik, Arvind Trivedi, Rajdeep, Pinky Parikh, Bhumika Sheth, Download hit Gujarati song, Devendra Pandit, Ramesh Mehta, Sameer Rajda Video Song. Hichko re bandhyo heer no re, mara raj. Dikri ne hete vadaviya re, mara raj. desh re joya dada pardesh joya songs, desh re joya dada pardesh joya. desh re joya dada pardesh joya video song. Dadane Chhodi Deliyo, Re Joya Dada Pardesh Joya, Download Gujarati video song, Download hit Gujarati . desh re dada pardesh free download. desh re joya dada joya video song download, desh re joya dada pardesh joya vavdi na pani gyata. 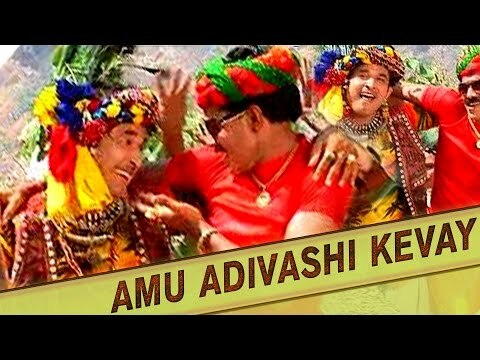 gujarati film desh re joya dada pardesh joya song , desh re joya dada pardesh joya uncha bangla banavo. Flute by Baljinder Singh dance by Aishwarya, Download Gujarati video song, Tara Vina Shyam played on Flute By Baljinder Singh Ballu, Based on Radha Ji missing Krishna Ji, Beautiful Dance by Aishwarya and choreographed by Archana Joshi, Download hit Gujarati song. Ras ramva ne vahelo avaje (2). Tara vina shyam mane lyrics, tara vina shyam mane garba song download. tara vina shyam atul purohit, tara vina shyam original song. Radha Tu Mari Jaan Album, Download Gujarati video song, Singers : Bechar Singh Thakor, Album : Radha Tu Mari Jaan, Music Director : Ranjit Nadia, Lyricist : Ramesh Sodha, Label : Jay Ambe Sound, Download hit Gujarati song. Chori Tara Kapdama Koyal Song Gujarati Lyrics will be available soon. Till then keep visiting www.gujarativideo.net. Thanks for your time. Gujarati folk music consists of a wide variety. Bhajan, a devotional song type poetry are categorized by theme of poetry/lyrics and by musical compositions such as Prabhati, Katari, Dhol etc. The Bard traditions of Barot, Charan and Gadhvi communities has preserved and enriched the folk tradition of story telling with or without music. This includes the forms of Doha, Sorathaa, Chhand, etc.The songs and music accompanying traditional dance forms such as Garba, Dandiya Raas, Padhar, Dangi and Tippani are unique in nature. Dayro and Lokvarta are music performances where people gather to listen performer who delivers religious as well as social message through it. Marasiyas are elegiac form of music originated from Marsiya. Fattanna or Lagna-geets are light form of song and music played during marriages.Bhavai and Akhyana are folk musical theatre performed in Gujarat. ગુજરાતી લોક સંગીતમાં વિવિધ પ્રકારના હોય છે. ભજન, ભક્તિ ગીતની કવિતાને કવિતા / ગીતોના વિષય દ્વારા અને પ્રભાટી, કતારી, ધોલ વગેરે જેવા સંગીત રચનાઓ દ્વારા વર્ગીકૃત કરવામાં આવે છે. બારોટ, ચરણ અને ગઢવી સમુદાયોની બાર્ડ પરંપરાઓ સાચવેલી છે અને તેમની સાથે વાર્તા કહેવાની લોક પરંપરાને સંરક્ષિત અને સમૃદ્ધ બનાવી છે. સંગીત વિના તેમાં દોહા, સોરથા, છંદ, વગેરેના સ્વરૂપોનો સમાવેશ થાય છે. ગરાબા, દાંડિયા રાસ, પધર, ડાંગી અને ટીપાની જેવા પરંપરાગત નૃત્ય સ્વરૂપો સાથેના ગીતો અને સંગીત પ્રકૃતિની અજોડ સ્વરૂપે છે. દય્રો અને લોકવાર્તા એ સંગીતનું પ્રદર્શન છે જ્યાં લોકો તેમના દ્વારા કલાકાર અને સામાજિક સંદેશા પહોંચાડે છે. મારાસિયાસ મર્શિયાથી ઉત્પન્ન થતી સંગીતનાં દયાળુ સ્વરૂપ છે. ફટ્ટના અથવા લગના-ગેટ્સ ગાયન અને સંગીતનાં ગીતો છે, જે લગ્ન દરમિયાન ભજવાય છે. ભાવી અને અખાયામાં ગુજરાતમાં લોક સંગીતનાં થિયેટરનું પ્રદર્શન કરવામાં આવે છે. Chori Tara Kapdama Koyal Song, Radha Tu Mari Jaan Album. Tara Kapdama Koyal Song, Chori Kapdama Koyal Song, Chori Tara Koyal Song. Chori Tara Kapdama Song. Chaitra Navratri is an important Hindu festival that is celebrated over a period of nine days. The festivities begin from the ‘pratipada’ (1st day) till the ‘navami’ (9th day) of the Shukla Paksha (the bright fortnight of moon) during the Hindu month of ‘Chaitra’, which is also the first month of the Hindu calendar and hence the name, Chaitra Navratri. According to the English calendar it falls during the months between March-April. Chaitra Navratri is also known as ‘Vasanta Navratri’ or ‘Rama Navratri’ as the ninth day of the Navratri festivity is celebrated as the birthday of Lord Rama. During the Chaitra Navratri the nine days are dedicated to worshipping the nine forms of Goddess Shakti and most of the rituals and customs are same as followed during the ‘Shardiya Navratri’. According to the Hindu Puranas and scriptures, Chaitra Navratri was the most important Navratri in which Goddess Shakti was worshipped, until Lord Rama worshipped Goddess Durga in the ‘Ashwin’ month during the Ramayana war. Chaitra Navratri is celebrated with immense pomp and show in whole of India, especially the northern states. This Hindu festival is very popular in Himachal Pradesh, Haryana, Punjab, Madhya Pradesh, Uttar Pradesh and Uttarakhand to name a few. In most of these states, a huge fair is organised in the Shakti temples. In the state of Maharashtra it begins with ‘Gudi Padwa’ whereas in southern states like Andhra Pradesh, the celebrations kick start with ‘Ugadi’. Piru Padesi Maro, Janu tari kasam, Download Gujarati video song, Download hit Gujarati song Album Title - Janu tari kasam, Track Name - Piru Padesi Maro, Singer Name - Varsha Vanzara, Sajel Vanzara, Actress - Varsha Vanzara, Sajel Vanzara, Neha shuthar, Music Director - Ravi -Rajesh, Lyricist - Gemar Rabari, Genre - Gujrati Album, Category - Gujrati Album, Producer - Rajesh Patel, Hit Gujarati song.